This brown sugar meatloaf recipe is one that your whole family will love. It’s super easy to prep and tastes like love-filled comfort food. 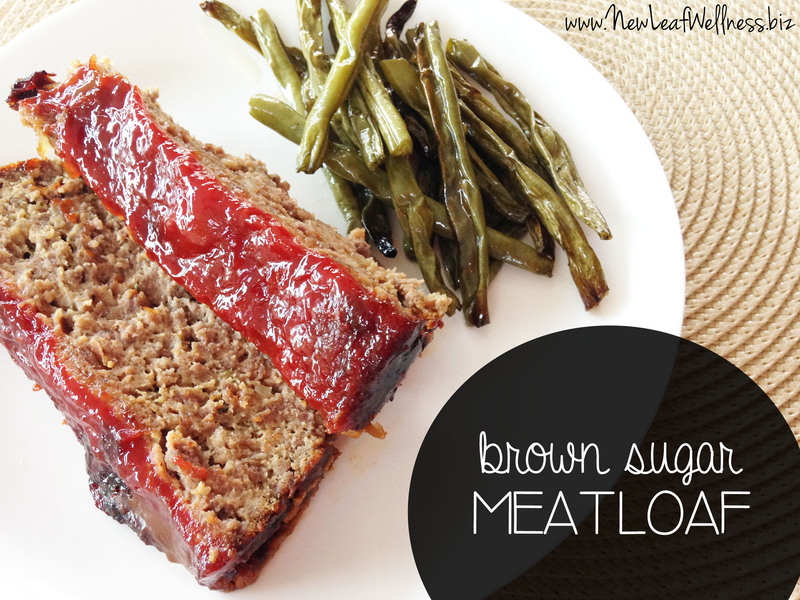 The brown sugar glaze gives it an extra special twist on the typical meatloaf recipe and makes the final product oh-so-yummy. I think it’s safe to say that once you try this brown sugar meatloaf recipe, you’re going to want to add it to your regular dinner rotation too. 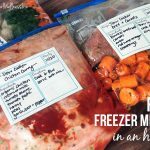 Since you’re not doing any cooking ahead of time, you can freeze this brown sugar meatloaf in a snap, just like all of the recipes in my ‘15-Minute Freezer Recipes‘ cookbook. In a large mixing bowl, combine beef, milk, eggs, onion soup mix, breadcrumbs, salt, pepper, and ground ginger. Spoon into prepared pan. In a small bowl, combine brown sugar, ketchup, and Worcheshire sauce. Spread on top of meat mixture in pan. Bake in preheated oven for 75 minute or until cooked through. 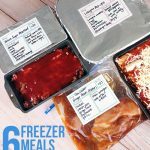 Complete Steps 1-4, cover with layers of plastic wrap and foil, and freeze for up to 3 months. 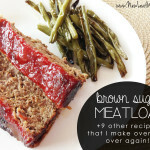 Cut bread from bottom of meatloaf, and enjoy!! I will be trying this one very very soon. I have a question about freezing this. It says to prepare steps 1 – 4 and cover with plastic wrap. Am I putting the plastic wrap in the loaf pan, then the bread, then the meat (so the bread is frozen too) or am I just putting the meat in the pan that is lined with the plastic wrap until it is frozen, then removed and wrapped in foil to freeze for up to 3 months? Or doesn’t it matter and I’m just being too literal? The plastic wrap and foil are used to cover the top of the pan like a lid. Hope you enjoy the meatloaf! Wouldn’t it be better to use some type of food storage system that vacuums the air out? My meatloaf always freezes fine. I’ve never had a need for a vacuum seal. Yay! Glad you liked it! Thanks for letting me know. Hi there. 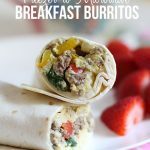 Has this recipe been tried in the crock pot? How long would it cook? I’ve never tried! If you make it in the crockpot if love to hear how it turns out! Do you still add the bread and spray to the bottom of the pan if you are freezing it? And so you cook the bread before freezing or just do it all at once when you take it out of the freezer to bake? Thanks! Yes, add it before freezing. I use store-bought bread and freeze the entire meatloaf assembled (ground beef, egg, etc is raw). I made this yesterday and it was amazing!! Love the sauce on top. Thanks! Glad you liked it! Thanks so much for letting me know!